139 Sagamore Dr in Millburn Now on the Market!!! A Lush natural setting on a prestigious street in the Wyoming section of town, this picturesque eight room home with a chef’s kitchen, 3 bedrooms and 2 ½ baths boasts seasonal NYC skyline views. The beautifully landscaped property has a terrace and two patios to choose from as you sit and admire the South Mountain Reservation that abuts the property. All of this within minutes of town and train, it’s the perfect combination privacy, seclusion and convenience. The first level features a sweeping formal living room with gleaming hardwood floors, wood burning stone fireplace with a stone hearth and wood mantel that extends to built in shelves on either side. A bright window seat with wainscoting and a beamed ceiling complete this beautiful room. French doors off the living room lead to a sun room with panoramic views. Next, the spacious formal dining room is ready for any occasion with built in speakers, a bayed wall and four large windows providing abundant light and more stunning views to appreciate. Then move onto the chef’s eat in kitchen with a center island, granite counters, tiled backsplash, a pantry and stainless steel appliances; it’s sure to please any chef! Lastly, an updated powder room is located at the end of the hallway completing this level. The second level begins with the large Master bedroom; neutral walls and carpeting, two large closets and ensuite private bathroom with shower over spa tub. Two more large bedrooms with seasonal views of the NYC skyline, one of which opens to a sitting room with two large closets, lead to a “jack and jill” bathroom. This shared bath has shower over tub, vanity and mosaic tile floor. The center foyer has two more large closets and Bessler stairs to attic storage. The lower level contains a laundry room with washer, dryer, utility sink and a walk in closet, a game room area and a storage area that provides access to the outside. Once outside you’ll find beautiful landscaping across the terraced property, a bluestone walkway, two patios in the front and the rear with views of the South Mountain Reservation, storage shed, a detached one car garage and a drive way providing off street parking. This enchanting hilltop property provides gorgeous views and privacy while still being convenient to town and train; it is the perfect place to call home. 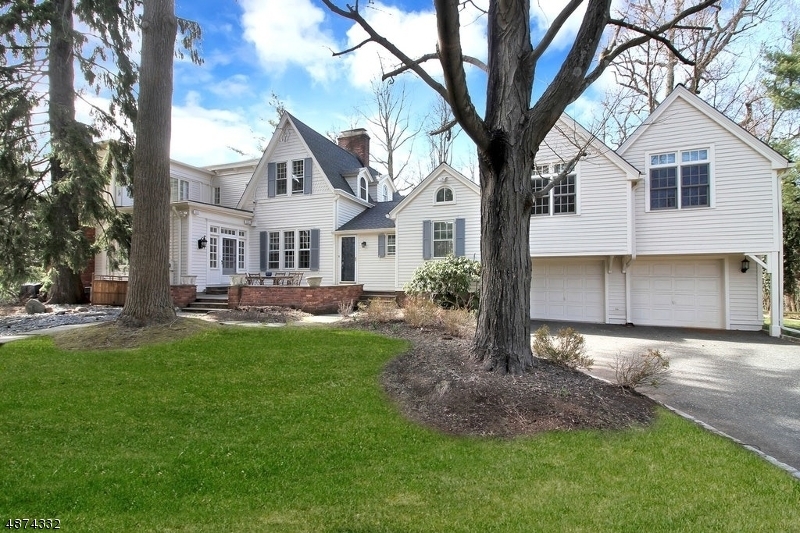 New Exclusive Listing in Short Hills, NJ! Beautifully renovated and incredible location! 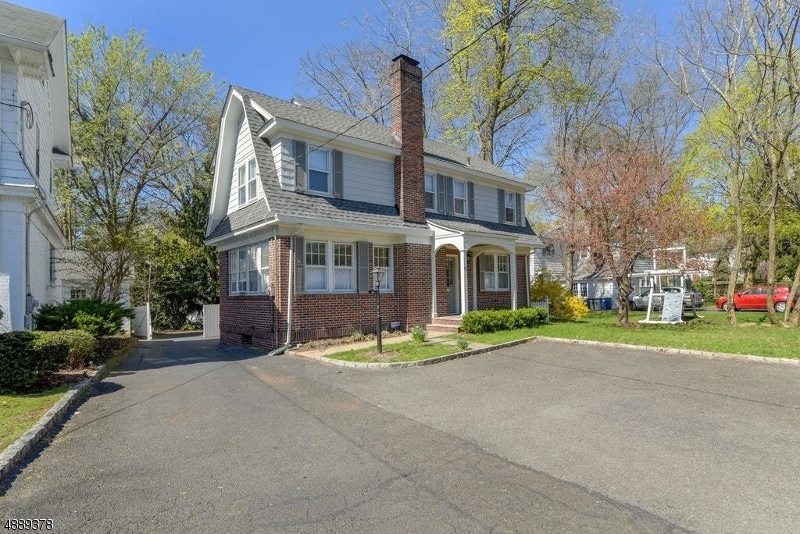 This 4 bedroom, 2 ½ bath center hall colonial has been meticulously updated throughout and offers a spacious open floor plan perfect for entertaining. 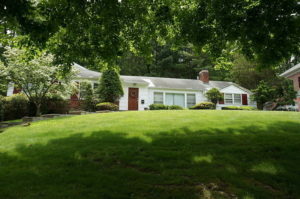 Located on a quiet tree lined street in one of the most sought after sections in Short Hills, this impeccable home attends Glenwood Elementary School, rated #1 in the country by Niche.com and provides the coveted SAM after school program. The sun filled 1st level features hardwood floors throughout, formal Living Room with wood burning fireplace, formal Dining Room, Mud/Laundry Room, Kitchen with Stainless Steel appliances that opens into the bright Family Room with skylights & access to the patio overlooking the private lush backyard. The 2nd level includes a Master Bedroom with full spa like bath, huge walk in closet with window seat; additional 3 Bedrooms with abundant closet space, renovated full hall bath and hardwood floors throughout. The lower level boasts plenty of storage space & a spacious windowed play/exercise area. With renovations galore, a spacious open floor plan & modern sophistication, it will check everything on your wish list!